Halloween, like any other time of celebration that has been around for a while, has many fun facts associated with it. Read through our list to become familiar with all the fun Halloween trivia. The word “witch” comes from the Old English wicce, meaning “wise woman.” The plural for wicce is wiccan. Wiccan were highly respected people at one time. According to popular belief, witches held one of their two main meetings, or sabbats, on Halloween night. Owls are associated with Halloween because, in Medieval Europe, owls were thought to be witches. To hear an owl’s call meant someone was about to die. Jack O’ Lanterns are pumpkins with a lighted candle inside. According to Irish legend, Jack O’ Lanterns are named after a stingy man named Jack who, because he tricked the devil several times, was forbidden entrance into both heaven and hell. Therefore, he was condemned to wander the Earth, waving his lantern to lead people away from their paths. Candy Corn was invented by George Renninger, a candy maker at the Wunderle Candy Company of Philadelphia in the 1880s. Candy Corn was originally called “butter cream candies” and “chicken feed” because corn was commonly used as food for livestock. They even had a rooster on the candy boxes. Candy Corn had no association with Halloween or fall, and was sold seasonally from March to November. After World War II, advertisers began marketing it as a special Halloween treat due to its colors that match those of the fall harvest. Some girls believed they would see their boyfriend’s faces if they looked into mirrors while walking downstairs at midnight on Halloween. If a person wears their clothes inside out and then walks backwards on Halloween, they will see a witch at midnight. Tossing a few little known facts out to your Halloween party guests will really get them in the Halloween spirit! Agatha Christie’s mystery novel Halloween Party is about a girl who is drowned in an apple-bobbing tub. More than 93% of children under the age of 12 go trick-or-treating. Orange and black are Halloween colors because orange is associated with fall harvest and black is associated with darkness and death. Halloween is the second most commercially successful holiday; Christmas is the first. Tootsie Rolls was the first individually wrapped penny candy in the US. Halloween candy sales average about $2 billion annually in the United States and it is the largest candy-purchasing holiday. Chocolate candy bars top the list as the most popular candy for trick-or-treaters with Snickers first. Pumpkins are not only orange, but also white, blue, and green. Black cats were once evil omens thought to be spirits of witches, or a witch’s familiar who protected their powers. Apple bobbing is believed to have originated from a Roman harvest festival held in honor of Pomona, the goddess of fruit trees. The common little brown bat of North America has the longest life span for a mammal its size – an average of 32 years. If you see a spider on Halloween, it is considered a good luck, as it means the spirit of a loved one is guarding you. The 1978 blockbuster, Halloween, was only made in 21 days on a very limited budget. Hundreds of vampire clubs and societies exist and claim to have real vampires as their members. About 50% of adults dress up for Halloween. 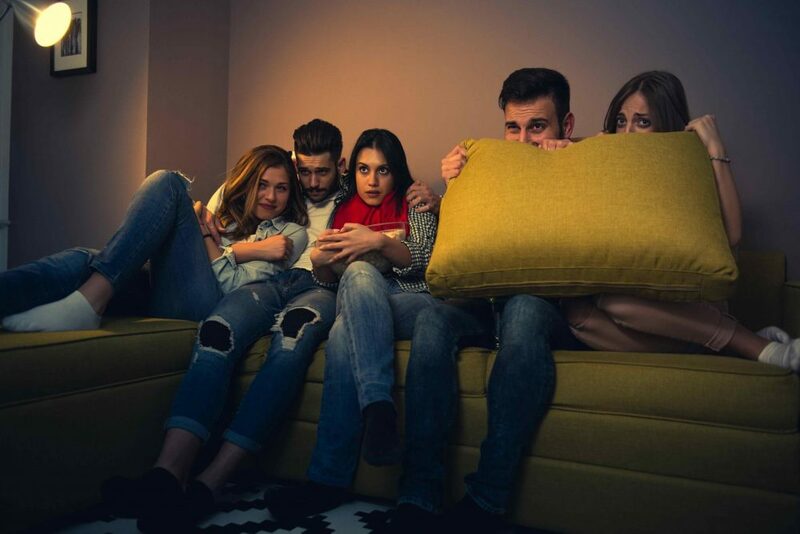 Sixty-seven percent of adults take part in Halloween activities, such as parties, decorating the house, and trick-or-treating with their children. 86% of Americans decorate their house for Halloween. Over 10% of pet owners dress their pets in Halloween costumes. The first Halloween card was made in the early 1920’s. S. consumers spend about $50 million on Halloween greetings, sending over 28 million Halloween cards each year. More than 35 million pounds of candy corn will be for Halloween. That equates to nearly 9 billion pieces – enough to circle the moon nearly 4 times if laid end-to-end. The tradition of making Jack O’ Lanterns to ward off evil spirits is thousands of years old. Jack o’ Lanterns originated in Ireland where people placed candles in hollowed-out turnips to keep away spirits and ghosts on the Samhain holiday. Halloween was brought to North America by immigrants from Europe, who celebrated the harvest around a bonfire, shared ghost stories, sang, danced, and told fortunes. The ancient Celts, who thought that spirits and ghosts roamed the countryside on Halloween night, began wearing masks and costumes to avoid being recognized as human. Halloween is one of the most popular holidays of the year. But even if you have been celebrating it since you were a kid, how much do you really know about All Hallows Eve? Test your knowledge with these fun trivia questions. Who directed The Nightmare before Christmas? How many people were hanged during the Salem Witch Trials? In The Texas Chainsaw Massacre, how many people are killed with a chainsaw? What’s the body count for the film Halloween? Which year was the movie Freaks made? In the original Alien film, how many alien eggs were made for the egg chamber inside the downed spacecraft? How many Oscars was Psycho nominated for? 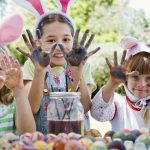 What does the word ‘Hallow’ in relation to this holiday mean? What do people “bob” for on Halloween? With the set release of John Carpenter’s movie, Halloween, we see the return of everyone’s favorite superhuman slash n kill em’ character, Michael Myers. To honor his return, here are some Halloween trivia questions from the much-acclaimed franchise to get you in the right mood. In Halloween II, when Michael first enters the elderly couple’s home, what movie is playing on their TV? In the franchise, what is Michael Myers’ middle name? In the first installment of the franchise, we see Michael kill his sister Judith. Who does Jamie stab in Halloween 4 and 5? Of all the Halloween movies, one does not feature Michael. Which one is it? What job does Mr. Strode do? In which does Dr. Sam Loomis appear last? How many of the Halloween movies did John Carpenter, the author of the series, direct? Who was the first actor to be credited as Michael Myers (as an adult)? How many children did Laurie Strode have? In the second movie, how many times does Dr. Loomis shoot Michael? Audry. We learn this when he is being tried for his sister’s murder. Her Stepmother. She wears clown costume similar to the one Michael wore as a child. He’s a real estate agent. The car shown in the Strode’s driveway which says Strode Realty was John Carpenter’s car. Halloween 6. Loomis is killed off in Halloween 6 because shortly after filming Donald Pleasence, the actor who played Dr. Loomis died. 7 times. Though Dr. Loomis screams repeatedly “I shot him six times,” if you listen carefully, he actually shoots him seven times. Away from Michael Myers’ killing sprees and gruesome murders, here are some more, relatively light hearted questions for your Halloween trivia quiz needs. What are other names of Halloween? True or false: The largest pumpkin pie the world has ever seen was more than 6m in diameter and weighed more than 350 pounds. What is the traditional role of Black Cats in Halloween and Occult Lore? Among other things, young trick-or-treaters often find razor blades in apples and pins in candy bars in their Halloween loot. What region are Vampire Bats from? How is the “mystery flavor” of Dum Dums lollipops made? How did the Charleston Chew bar get its name? The engagement of which now-defunct celebrity couple was sealed with a diamond ring concealed in a Ring Pop wrapper? According to a survey by the National Retail Federation, on average, shoppers 18 and older will each spend how much on Halloween candy? In the popular Halloween Candy Buyback program, children sell their uneaten candy to local dentists who then distribute it to whom? It weighs 1,678 kg and was made at in New Bremen, Ohio, USA, in 2010. The diameter of the pie was over 5 feet. They were infamously known for being witches’ familiars and some witches were burnt alongside their cats during the Salem trials. The Charleston Chew was invented in 1922 at the height of the Charleston dance craze and owners of the Fox Cross capitalized on its popularity. Survey says: $23.10 is the average candy expenditure, and Americans will spend a total of $2.1 billion on Halloween candy. What is the number one city for trick or treating in the United States? Apart from sucking human blood, what do vampires and bats have in common? How much is spent on pet costumes for Halloween annually? What type of vegetable is disliked by vampires and is used to frighten them away? What color cat is a symbol of Halloween? True or false: The word ‘hallow’ means saint or holy person? What mammal is able to fly and is associated with Halloween? True or false: Halloween is the Eve of All Saints Day? What word begins with letter C, looks like a pot and is normally used by witches to brew their potions and cast evil spells? What bone, found in the head, is often used as a symbol of Halloween? What date is Halloween celebrated? Try and unscramble the following word: BINLOG in order to reveal an ugly, short, green creature that is usually dangerous to humans? What traditional activity takes place on Halloween and involves dressing children up in scary costumes and getting candy from neighbors’ houses? Complete the following chant, normally said by witches: double, double, toil and …? What do witches use to ride in order to get around town? How many licks does it take, on average, to reach the center of a Tootsie Pop? What does seeing a spider on Halloween signify? What is the most popular candy bought within the United States, including during the Halloween holidays? How many colors of M&Ms are there? What fruit is carved up on Halloween and placed outside for children to see, and what color is it? A loved one is watching over you. There are 25 different colors of M&M’s. 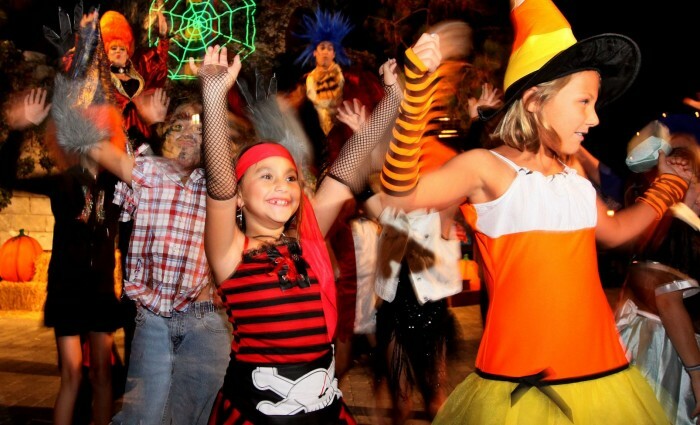 Halloween is the one of the most popular holidays and many people have parties to celebrate. 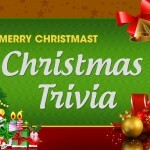 Play a game of trivia giving points for correct answers. If you have a large group, consider dividing the players into two or more teams and having them compete against one another. Whoever answers the most questions correct wins the game. If you wish, provide the winners with a special prize. Your guests will enjoy showing of their Halloween knowledge at your celebration. On October 31st, people will celebrate one of the most popular festivals of all time – Halloween. 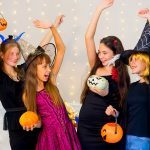 Prepare to have fun and create a memorable occasion with our Halloween trivia, facts, and questions and answers.